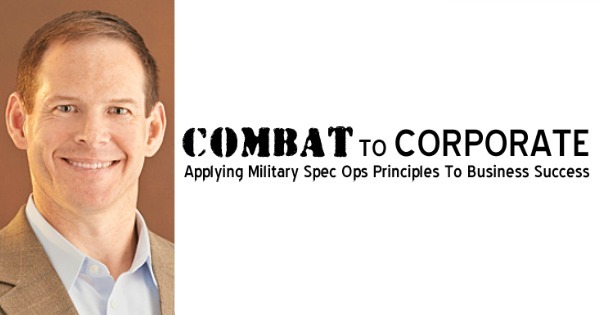 Today I got to talk with Chad Storlie the founder of Combat to Corporate. He is the author of two books and many other articles and blogs around the internet to include Harvard Business Review blog, USA Today, Military.com and many more. His most recent book is titled Battlefield to Business Success - applying military leadership and skills to your career and his first book is titled Combat Leader to Corporate Leader - 20 lessons to advance your civilian career. Chad is a US Army Veteran, where he served as a Special Forces Infantry Officer for a combined 21 years. We got to talk about how our military skills translate directly to business in the civilian world and how we can do a better job of explaining and highlighting these skills during key interviews. Chad gives a few examples of just how to do this during the interview as well as a few key skills that you may or may not have thought of before. This one is a must listen and Chad is another guest I would like to have on again and do a deep dive into his books and advice some more. Check out his website after listening below ! Click Here to Thank Chad on Twitter ! Have you ever been told your experiences do not translate ?